NetRef – Verite Group, Inc. The mission of NetRef is to develop outstandingly simple-to-use technology for teachers to help kids focus their online activities at school, and for parents to protect internet browsing and app use out of the classroom, in any location, and from any device. 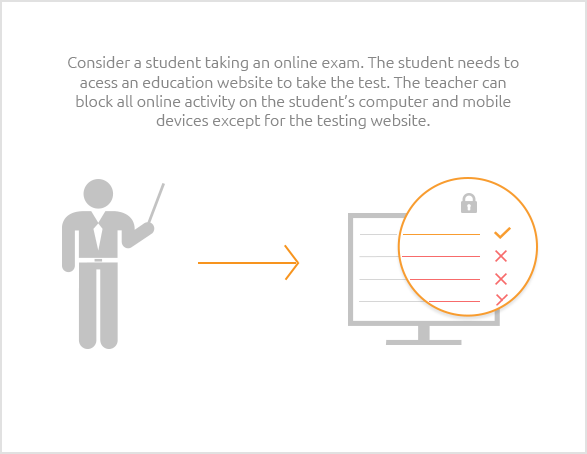 With NetRef, educators can define the websites their students can visit and can block specific websites and apps on-the-fly. NetRef enables educators to set custom time windows for internet access and passes device management privileges from teacher to teacher as students move from class to class. Usage history by student and by device give educators insight into visited sites, content exposure, and evasion attempts. Visit www.net-ref.com to learn more. © Copyright 2003-2019 VGI. All rights reserved.